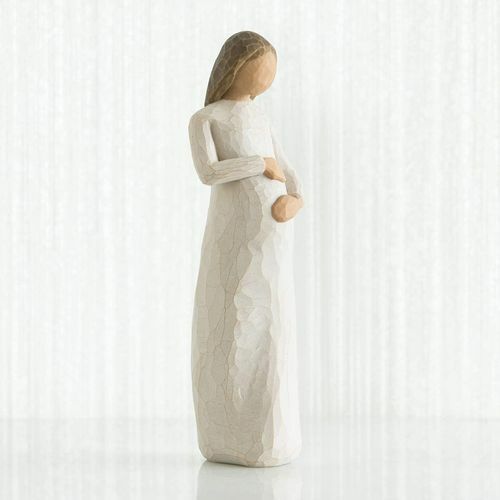 Message on the card inside reads: "Awaiting a miracle"
Part of the Willow Tree Family collection. Susan Lordi has often been complimented for her work because the pieces remind viewers of members of their own family or circle of friends. She aspires to maintain this level of participation with the viewer. 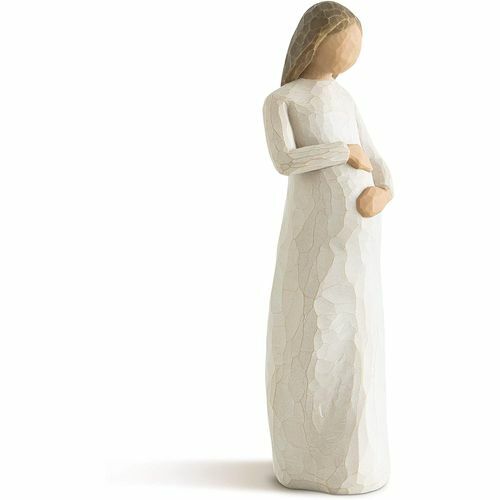 She created Cherish to celebrate the beautiful form of a pregnant woman, as it is an amazing experience for a woman, and because it is very rarely seen in figures.